January 6 Summer Science Fiction Science fiction stories from the 1950's. Janaury 13 Summer Science Fiction Science fiction stories from the 1950's. January 20 Summer Science Fiction Science fiction stories from the 1950's. January 20 Ocean Surface Topography The launch of Jason 3 and an explanation of how ocean topography has been measured by its predecessors. Janaury 20 Voyager 1 Into Interstellar Space To mark the 30th anniversary of the Voyager 2 flyby of Uranus, Gary Zank (Department of Space Sciences, Center for Space Plasma and Aeronomic Research, University of Alabama, Huntsville, Alabamba) discusses how Voyager 1 data compares with computer simulations of the interstellar medium. Janaury 27 Summer Science Fiction Science fiction stories from the 1950's. January 27 Contact Lost A commemoration in talk and music of three United States manned spaceflight disasters: Apollo 1 (49 years ago), STS 51-L (30 years ago) and STS 107 (13 years ago). Featured Ed Buckbee (The Real Space Cowboys, Huntsville, Alabama) and the music of Deep Purple, Echo's Children, Michael Longcor, and Public Service Broadcasting. February 3 Apollo 14 and The Moon Trees A summary of the third manned lunar landing and the strange story of the Apollo 14 moon trees, to mark the 45th anniversary of this often overlooked mission. February 10 Apollo 14 and Edgar Mitchell The third manned lunar landing, Alan Shepard's golfing stunt and the death of Apollo 14 astronaut Edgar Mitchell. February 10 Voyager Sounds of Saturn To mark the 40th anniversary of Pioneer 10's crossing of the orbit of Saturn (NOTE: orbit, not the planet itself), an explanation of the plasma wave recordings made by Voyager nearly 35 years ago at Saturn. March 9 ExoMars A overview of the ExoMars 2016 and ExoMars 2018 missions. March 16 Gemini 8 A mention commemorating the 50th anniversary of the Gemini 8 mission. March 16 Mercury Redstone 2 A belated commemoration of the suborbital Mercury mission that lobbed the chimpanzee "Ham" into space. Included two songs in honour of Ham. March 16 ExoMars Science The science objectives of the recenly launched ExoMars 2016 mission to Mars. March 23 Halley's Comet A musical portrayal of Halley's Comet. March 23 Sounds Of Space Shuttle wake-up calls; Music on the International Sapce Station; musical influences from the stars, pulsars and solar system; the Kronos Quartet; and Cady Coleman. March 23 Astronomical Sounds How signals from radio telescopes are converted to sounds. Samples included pulsars, nebulae and a comet. March 30 Luna 10 The 50th anniversary of Luna 10, the first satellite placed in orbit around the Moon. Inlcluded the playing of the Internationale from the Moon. March 30 Bush Fires How bush fires are being detected from the Terra and Aqua satellites. April 6 The Space Show 25th Anniversary This programme included extracts from our first programme on 1991 April 7, as well as three interviews not previously broadcast. April 6 Aerosol Prediction What aerosols are, the role in climate and the role of satellites in measuring atmospheric aerosols. April 13 Yuri Gagarin Marking the 55th Anniversary of Yuri Gagarin's space flight aboard Vostok 1. April20 YuriGagarin Music and documentary about Yuri Gagarin. May 11 CYGNSS The CYclone Global Navigation Satellite System, which will use eight nanosatellites to allow unprecedented temporal and spatial coverage of the core environment in developing tropical cyclones. May 18 SOURCE The need to maintain solar irradiance measurements in the period when the SOURCE satellite has passed its design lifetime and the planned late 2017 deployment aboard the International Space Station of the TSIS-1 (Total and Spectral Solar irradiance Sensor) instrument. May 18 Mars 2 & Mars 3 & Mars One Marking the 45th anniversary of the first spacecraft to land on Mars: a summary of the Mars 2 and Mars 3 missions; the design and pupose of the Maven mission now orbiting Mars; an interiew with Josh Richards, a Melbournian who aspires to live on Mars as part of the Mars One mission; and James Reuther (NASA Deputy Associate Administrator) describing the development of the technologies needed to support future human exploration of Mars. 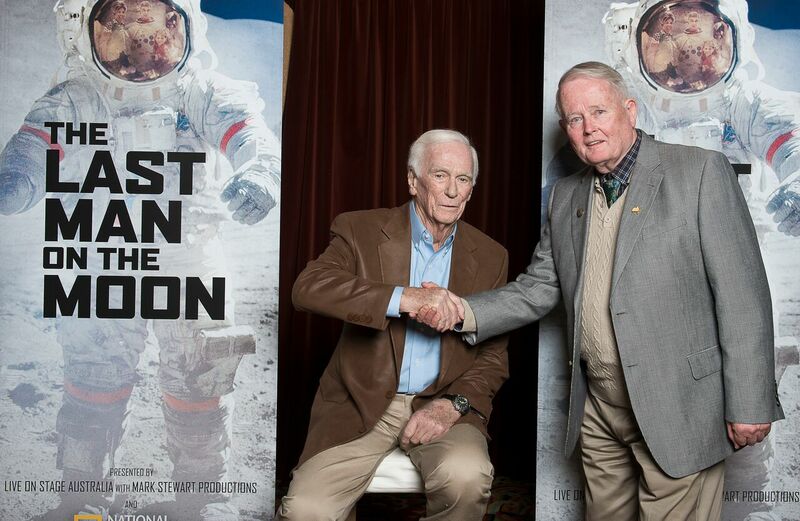 May 18 Last Man On The Moon Draw The draw of tickets to see the movie about Gene Cernan, the Commander of the Apollo 17 lunar landing mission. 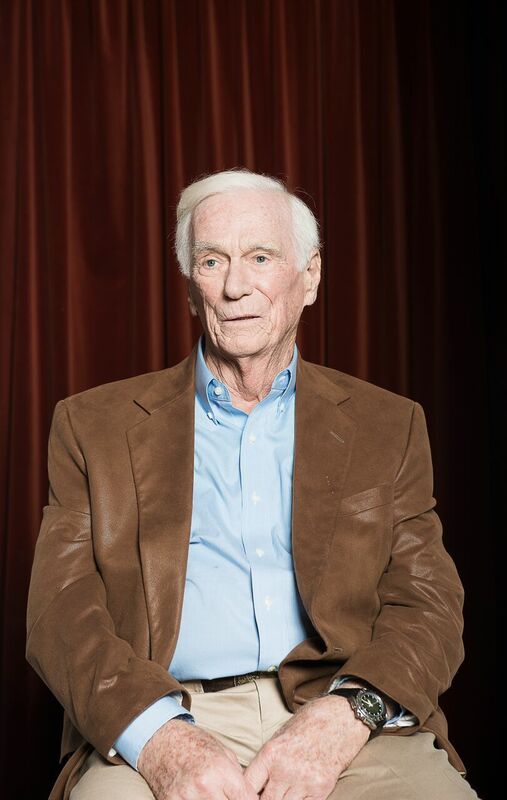 Also part of our interview with Gene Cernan, and music. 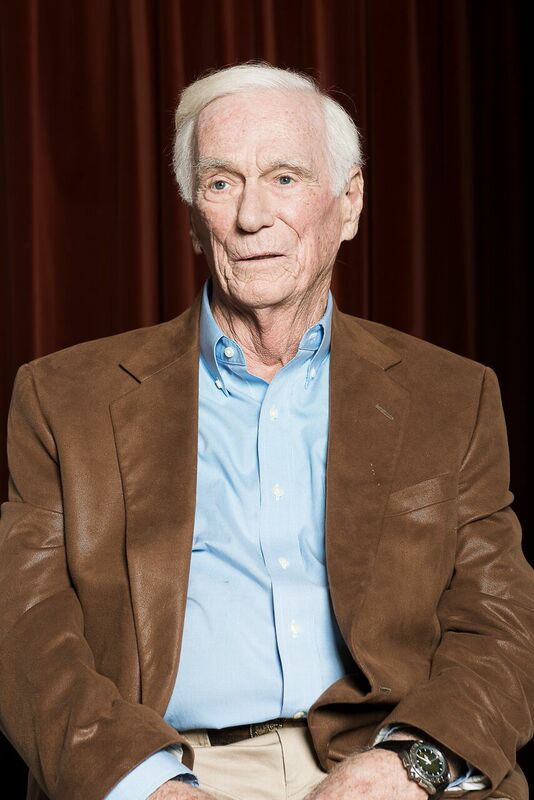 May 25 Kennedy and Buckbee On the 55th anniversary of United States President Kennedy's address to Congress on urgent national needs, we play the part that related to space, and hear from Ed Buckbee, whose life was changed forever by the effects of that speech. 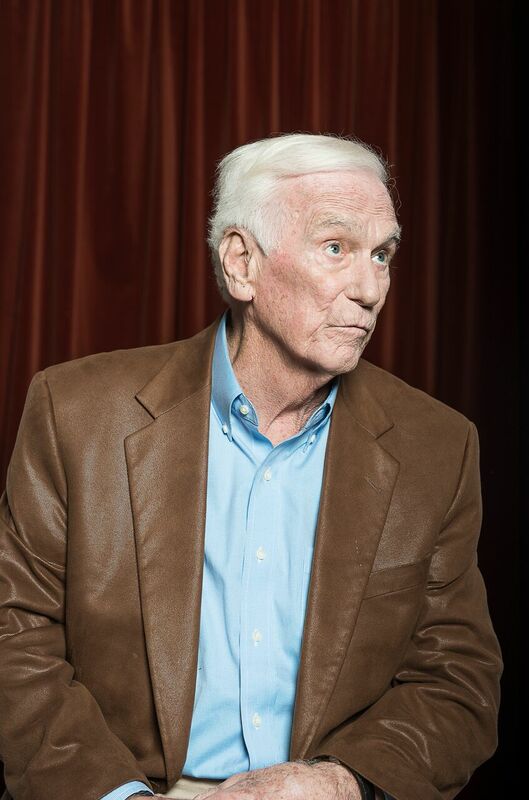 May 25 Apollo 17 To mark the pending visit to St Kilda by former astronaut Gene Cernan, a discussion about Apollo 17. 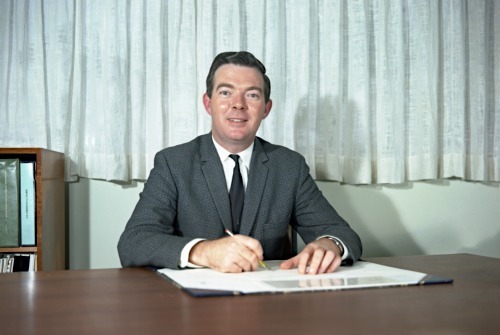 Participants included Gene Cernan (Gemini 9, Apollo 10 and Apollo 17), Harrison Schmitt (Apollo 17), Jim Lovell (Gemini 7, Gemini 12, Apollo 8 and Apollo 13) and Mike Dinn (Tidbinbilla and Honeysuckle Creek). May 25 Greenhouse Gas Constellation Part 1 A fleet of satellites is measuring atmospheric greenhouse gases. Additional satellites are under development. June 1 Surveyor 1- Part 1 Marking the 50th anniversary of the Surveyor 1 soft landing on the Moon. 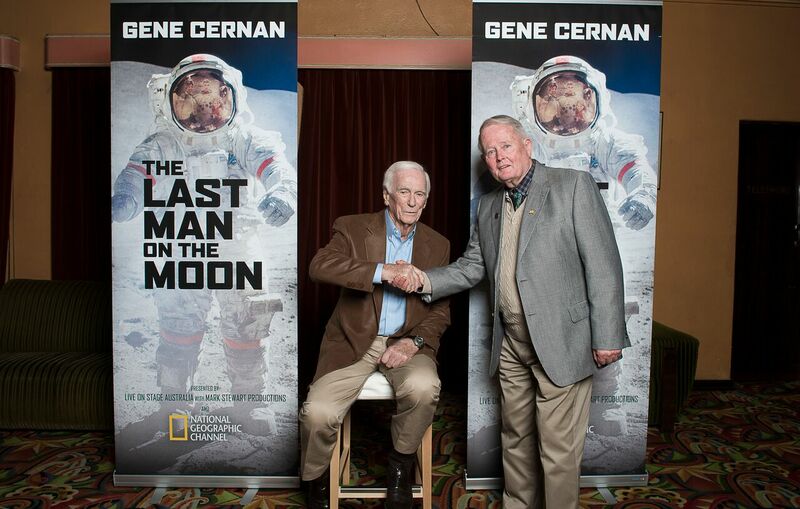 Histories of the Luna and Surveyor landers; commentary from the Jet Propulsion Laboratory of descent, landing and tranmission of the first pictures; a conversation with Mike Dinn (who was Deputy Station Director of DSS-42 in Tidbinbilla); and noting the 50th Anniversary of Gemini 9 with Gene Cernan, who was at the Astor Cinema yesterday. June 8 Surveyor 1 - Part 2 Celebrating the 50th anniversary of the successful Surveyor 1 soft landing on the Moon: a conversation with Mike Dinn (who was Deputy Station Director of DSS-42 in Tidbinbilla); a JPL anniversary feature; and a JPL feature marking the completion of two martian years in Gale Crater by the Curiosity rover. June 8 Soyuz 11 Mourning the death of the crew of Soyuz 11, who launched to the Salyut 1 space station 45 years ago; manned spaceflight records; British ESA astronaut Tim Peake nears end of his mission; and music. June 15 MAVEN A full programme devoted to the Mars Atmosphere and Volatile EvolutioN mission. Included: its mission and scientific objectives; use of stellar occultation to measure how Mars' atmosphere changes with altitude; use as a communications relay for other missions; coordination with India's Mars Orbiter Mission; Comet Siding Springs flyby; and some early findings. June 22 Salyut 5 Marking the 40th anniversary of the launch of the Salyut 5 space station. July 20 Mercury Redstone 4, Gemini 10, Apollo 11 and Viking 1 The anniversaries come thick and fast this week. We mark the 55th anniversary of Gus Grissom's suborbital spaceflight aboard the Mercury 4 (Liberty Bell 7) capsule, the 40th anniversary of the Viking 1 landing on Mars and two Mike Collins anniversaries - 50 years since Gemini 10 and 48 years since Apollo 11. July 27 Apollo 15 Marking the 45th anniversary of the Apollo 15 lunar landing mission. Descriptions of the Appenine landing site, the crew, the lunar roving vehicle, and the firsts to be attempted on the mission. 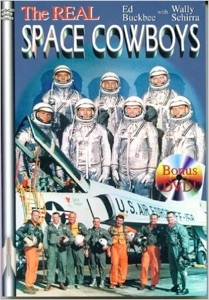 Also an account by Ed Buckbee (Author of The Real Space Cowboys) of his discussions with the astronauts, the reentry of Skylab and contingencies to announce the death of astronauts. Reading by Patricia Larkin of an Al Worden poem. Laurie Anderson's End Of The Moon. August 3 Gherman Titov and Vostok 2 The 55th anniversary of the second manned orbital spaceflight. Doug Cook, Associate Administrator, Exploration Systems Directorate, NASA HQ, Washington, D.C.
Michael Wordo, Chief Lunar Scientist, Exploration Systems Directorate, NASA HQ, Washington, D.C.
August 17 Sun Rings To mark National Science Week, a one hour-long discussion of plasma wave recordings and their use by the Kronos Quartet in their composition Sun Rings. Included an explanation, with example sounds, by Don Gurnett (University of Iowa) of how plasma waves in space were discovered. Tony Riley (musician) related how he and the Kronos Quartet became interested in incorporating the Voyager and other recordings into their work. Brett Sheehy, the artistic director of the Melbourne International Arts Festival, spoke of Kronos' 2011 performance at the Melbourne Recital Hall. The programme ended with the Kronos Quartet playing extracts from Sun Rings. September 7 Falcon 9 Explosion An analysis of the reporting of the destruction of the AMOS 6 satellite when a Space-X Falcon 9 exploded on the pad during a fueling operation ahead of a static engine test. September 14 OSIRIS-REx Launch Coverage of the launch of the OSIRIS-REx spacecraft on a mission to sample astreoid Bennu. Included news of asteroid 2016 RB1's close flyby of Earth. September 14 Gemini 11 To mark the 50th anniversary of this two-man spaceflight, post mission comments by astronauts Pete Conrad and Richard Gordon describing the rendezvous with the Agena 11 rocket and Gordon's space walk to tether the Agena. September 28 Rosetta End Is Nigh Details of the planned end of the Rosetta mission. Included music and poetry inspired by the mission, a description of what Rosetta has been doing recently during its close flybys of Comet 67P, and an interview with Simon Barraclough (Space Research Engineer, University of New South Wales, Canberra) about his role in designing and building Rosetta. September 28 Planetary Science Update News about the Juno mission's first science pass of Jupiter; tonight's flythough of the volcanic plumes of Enceladus by the Cassini spacecraft; discovery by the Dawn spacecraft of cryovolcanism on Ceres; revised launch date for InSight to Mars; and revised history of water on Mars. September 28 Cassini Grand Finale - Episode 1 The Eceladus close flyby 19. October 5 Paul Scully-Power Australia's first flown astronaut describes his oceanographic work aboard STS 41G (1984 October 5 to 13). October 12 Cassini Grand Finale - Episode 2 Enceladus flyby 20 and achievements of the Cassini mission. October 19 Soyuz MS-02 Launch Live-to-air, the launch from the Bailonur Cosmodrome of the Soyuz MS-02 spacecraft with three astronauts bound for the International Space Station. Preceeded by an interview on the Mat and Alana Show with Andrew Rennie. October 26 Voyagers 1 and 2 Using Voyager 2 occultation data, possible discovery of two moons at Uranus. Voyager 1 shows interstellar magnetic field is slowly rotating. 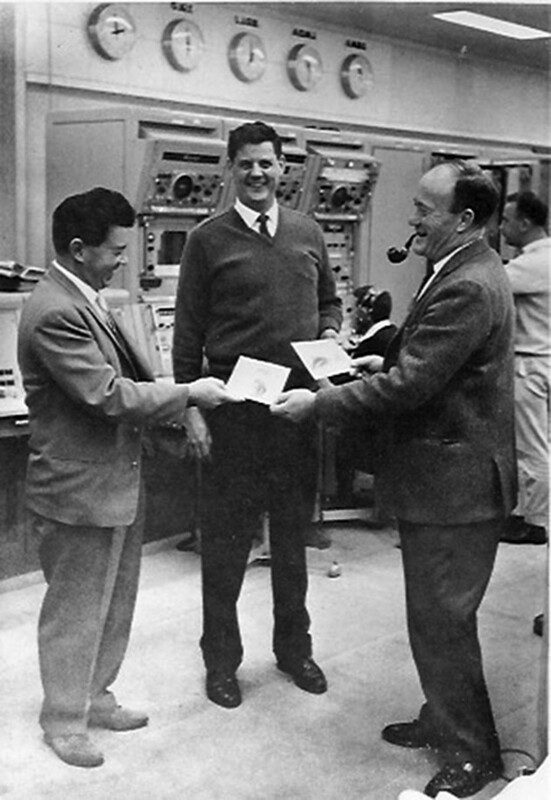 November 16 First Poem In Space A reading of the first poem ever sent into space, and the story of how it came to be aboard the TRAAC satellite, which was launched 55 years ago today. November 23 Greenhouse Gas Constellation Part 2 A fleet of satellites is measuring atmospheric greenhouse gases. Additional satellites are under development. November 23 Lightning Imaging Sensor An instrument able to image lightning is set to be attached to the International Space Station. November 30 Enos Marking the 55th anniversary of the Mercury Atlas 5 mission which orbited the chimpanzee "Enos", we recount the event in historic recordings and music. Also, the naming of the planned first Americans to orbit the earth. December 21 Jason 3 Description of the Jason 3 oceanographic satellite and its first year of operations. December 21 John Glenn A critique of media coverage of the death of John Glenn, and some more songs about his achievements. December 21 Malaria How data from the Environmental Research and Visualisation Camera aboard the International Space Station and the Landsat 5 satellite are being used in the effort to eradicate malarial disease. December 21 CALIPSO An explanation of the computer memory problem on the Cloud-Aerosol Lidar and Infrared Satellite Obseration spacecraft and how it was corrected. Also how CALIPSO is being used to track dust movements from the Sahara across the Atlantic Ocean. December 28 Vera Rubin and Carrie Fisher In memory of astronomer Vera Rubin and actress Carrie Fisher. Dark matter: when it was proposed; Vera's contribution to its discovery; the ESA Euclid satellite, and a rap "song." A summary of Leia Organa's story in the 1977 "Star Wars" story, as told in drama, music and narration. December 28 Space Music A summer miscellany of space songs.